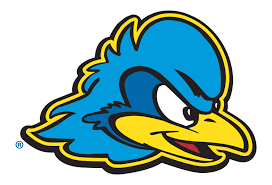 Join ASCE Delaware and the Delaware Section of the American Public Works Association (APWA) cheer on the Blue Hens for our annual Basketball Social. The social will be held at T.G.I.Friday's (across from the arena) with the University of Delaware Men's basketball team taking on Northeastern University at the Bob Carpenter Center to follow. Please see the events page for more details or you can email deasce.rsvp@gmail.com to RSVP. Don't miss out on ASCE Delaware’s first ever Dodgeball Tournament on March 27th at 6:00 PM. The tournament will be held at Hockessin United Methodist Chruch (7250 Lancaster Pike, Hockessin, DE 19707). The cost for the event will be $25 per team (5 people). The price includes pizza and drinks; and two games at minimum. Team uniforms are encouraged, but not required. PRIZES will be awarded to the top 3 teams! See the events page for additional information. Sign up today! Did you know that as a Delaware Section member you get a discount on ASCE National Webinars? Plus some of the registration fee comes back to help fund other Section activities! ASCE's live webinars provide cost-effective training for large and small groups. Use Promo Code WEBDELSEC to secure your preferred rate. ASCE's on-demand webinars provide real-world knowledge and convenient delivery to fit your demanding schedule. Use Promo Code WEBDELSEC to secure your preferred rate. The Section, in conjunction with DAPE, is proud to announce our annual Crab Feast to be held on Tuesday, September 11, 2018 at the White Clay Creek State Park. Come out and network with other professionals while eating delicious local crab. The sections will also be presenting their annual awards and certificates to new professional engineers. Please view the events page for more details. 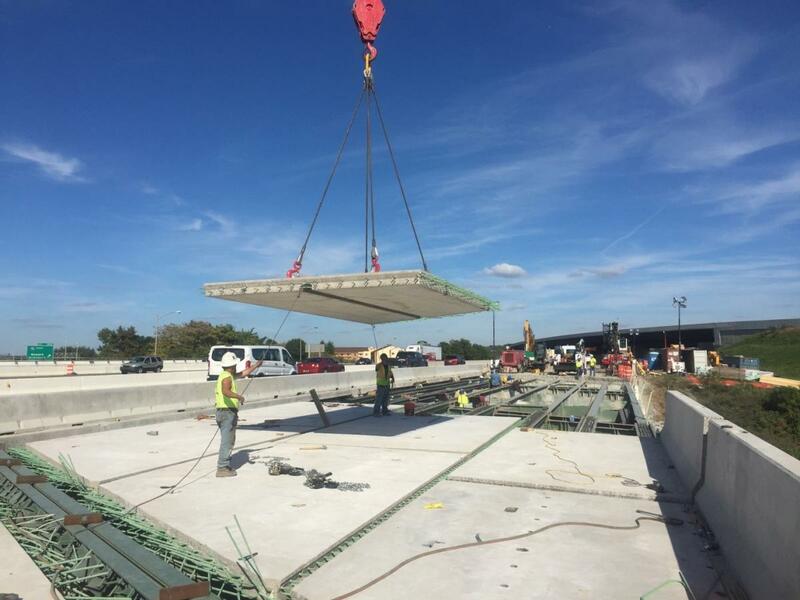 The Delaware Section will be sponsoring a tour of the on-going Christina River Bridge Construction in Wilmington on Thursday, July 26, 2018. The tour will begin at 4:00pm and last approximately 1 hour. Attendees will receive at least 1.0 PDH ​for attending, and the event is FREE​! See the events tab for more information. Join the Delaware chapter of ASCE and ASHE for an exciting game of Baseball as the Wilmington Blue Rocks take on the Lynchburg Hillcats on June 5th. Please see the events page for more details. Join the Delaware Section on April 4th, as we team up with ASME to present technical presentations on accelerated construction techniques for use in bridge replacement projects! The event will begin at 5:30pm and be held at the University of Delaware. The cost for this event is $10 for professionals and FREE for students. Professionals will receive 2.0 PDH's for attending this event. Reserve your space today as space is limited to 55 people on a FIRST COME FIRST SERVE BASIS. A light dinner will be provided prior to the presentations. You can reserve your space now by emailing deasce.rsvp@gmail.com. See the event page and the event flyer for more information! The Delaware Section is proud to announce that we will be screening a premiere of Dream Big: Engineering our World, a film developed in part by the American Society of Civil Engineers. All around the world, engineers are pushing the limits of ingenuity and innovation in unexpected, imaginative, and amazing ways. Dream Big: Engineering Our World, a giant-screen film about engineering, will take you on a journey of discovery from the world’s tallest building to a bridge higher than the clouds. Along the way, you will witness how today’s engineers are shaping the world of tomorrow. Dennis R. Mertz, professor of civil engineering and director of the Center for Innovative Bridge Engineering at the University of Delaware, died Friday, Aug. 12, 2016, at Christiana Care Hospital. Prof. Mertz, who lived in Newark, was 63. A service celebrating his life will be held at 5 p.m., Monday, Oct. 10, in Gore Recital Hall of the Roselle Center for the Arts on UD’s Newark campus. The doors will open at 4:15 p.m. A reception will follow. Mertz was born in Trexlertown, Pennsylvania, on July 3, 1953. He earned his bachelor’s, master’s, and doctoral degrees at Lehigh University, where he conducted research under the advisement of John Fisher. The results of his work greatly impacted today’s design and evaluation procedures with regard to fatigue of steel connections. After completing his Ph.D., Mertz went to work for Modjeski and Masters, a major bridge design firm, where he contributed to the design and rehabilitation of numerous important bridges. While at Modjeski and Masters, together with John Kulicki, Mertz was the co-principal investigator of National Cooperative Highway Research Program (NCHRP) Project 12-33, “Development of a Comprehensive Bridge Specification and Commentary,” which led to development of the current AASHTO LRDF Bridge Design Specifications, the guidelines by which virtually all bridges in the U.S. are designed. Mertz accepted a position at UD as an associate professor in 1992. He founded the University’s Center for Innovative Bridge Engineering, and he was the founding editor of ASCE’s Journal of Bridge Engineering. He published extensively in the field of bridge engineering and helped numerous states and foreign countries to develop and revise their bridge design specifications. Mertz won numerous awards for his work, including most recently the 2016 John A. Roebling Award, awarded for lifetime achievement in bridge engineering. A beloved teacher, Mertz was an avid wine enthusiast and pet lover. He and his wife, Madelyn, enjoyed spending time at their second home in Rehoboth Beach, Delaware. In addition to his wife, Mertz is survived by his brother, Richard, and sister-in-law, Ann of Allentown, Pennsylvania. Contributions in memory of Prof. Mertz can be sent to: University of Delaware, Gifts Processing, 83 E. Main St, 3rd Fl., Newark, DE 19716. Checks should be made payable to the “University of Delaware.". Please include Department of Civil and Environmental Engineering/Dennis Mertz when making your contribution. Dr. Lakshman was a Life Member of The American Society of Civil Engineers since 1999 and was also a Member/Fellow of ASCE. Bangalore was a member of the Delaware Section and named the 2010 ASCE Delaware Section Civil Engineer of the Year. Dr. Lakshman's passion for Civil Engineering led him to found the BTL Foundation which has funded scholarships for numerous Civil Engineering students. Bangalore was a University of Delaware Distinguished Alumni and the Delaware Engineering Society's 1993 Engineer of the Year. His contributions and generosity to our industry will be missed for years to come.